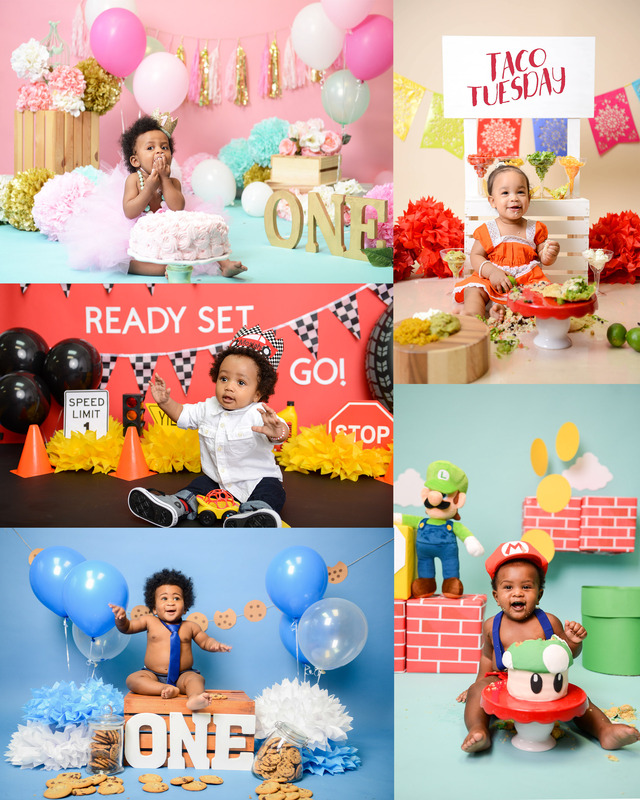 Cake smash sessions are seriously one of our favorites (besides newborn sessions). We LOVE the creative set ideas and cake designs. We have a preferred baker @grandoccasionsbakery. Please have your cake made with her. She and I work together, personally, to arrange a concept that will tie everything in together for your session. ELABORATE THEME SET UP (see examples under package 2). Fully edited high resolution digital images that will be delivered within 2-3 weeks post shoot via an online code protected gallery (prints are not included). If you have a specific look you are going for please disclose this information in the questionnaire. This option is for a single child (age 3 months and up) up to 4 children per one session (additional person fees apply for over 4 children). This option is NOT for newborn sessions. If you are interested in a family session please book it here.